*ONLINE CLASS* Introducing our online cake business mentor course. Are you struggling with getting your business off the ground or struggling to build it as quickly as you’d like? Have you started your business on the side but not sure you’re pricing properly and now stuck in a rut? Are you wondering how to get the most out of social media and how to market your business to get more orders? Are you struggling with pricing your cakes and bakes competitively? 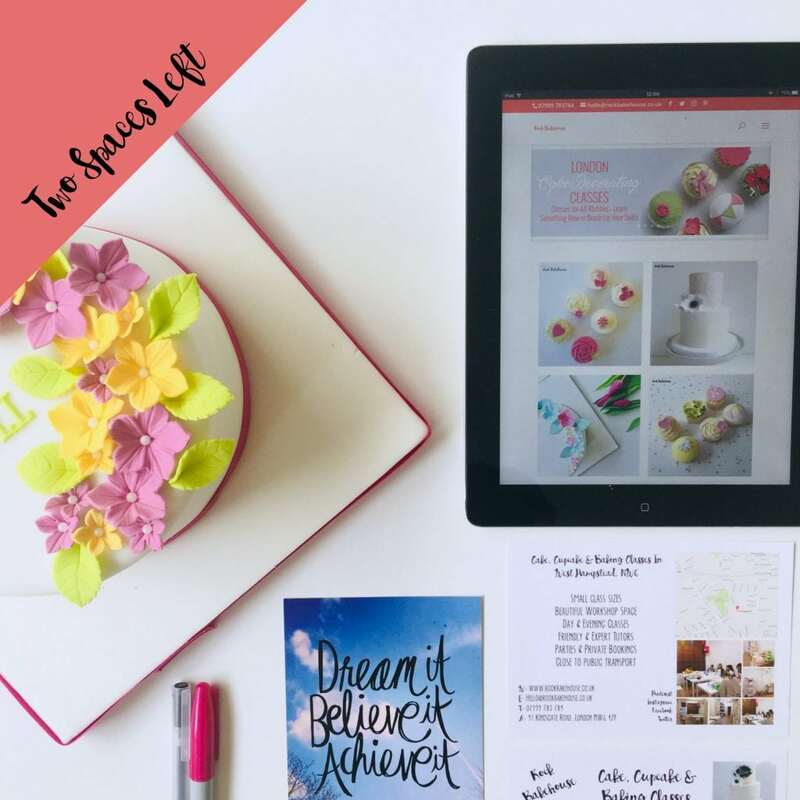 In our new online cake business mentor course we’ll go through everything you need to know and you’ll receive information, tips, tricks as well worksheets, business materials (invoice templates, order forms etc), planners, words of motivation and schedules that you can use time and time again. You’ll be able to learn at your own pace in the comfort of your own home wherever you are in the world! Please note that you will receive the materials every Wednesday for 6 weeks, if you’re not available on that day, or on a particular week don’t panic as you can catch up whenever you want and work at your own pace. Each week we’ll cover a new topic and you’ll have the opportunity to ask lots of questions in our exclusive private Facebook group as well as watch videos and ask Nathalie any questions you may have. This course is perfect for those that can’t make it to our workshop space or want to learn in their own time. Whether you’re looking to ditch the 9 to 5 to start your own cake business, been made redundant and want to take this opportunity to start something or you’ve already started and looking for help and advice, this class is for you. This class will guide you through all there is know about running your cake business. After being made redundant from her marketing and PR job, Nathalie set up Rock Bakehouse and has a wealth of experience on starting out, running and growing a business successfully from home kitchen to commercial premises. Further Information: Please note that you don’t need to have a Facebook account to join us. This class is ONLINE only and you do not need to come to our venue. Due to the downloadable nature of the course, once you’re booked on unfortunately there are no refunds or transfers. Please note that you will receive the materials every Wednesday for 6 weeks, if you’re not available on that day, or on a particular week don’t panic as you can catch up whenever you want. The guides and materials are yours to keep to use over and over again. Due to the downloadable nature of the course, once you’re booked on unfortunately there are no refunds or transfers.